Hector was rewarded for more than half a century of service to the Bulldogs in a number of key roles. The AFL has recognised the incredible contribution of Western Bulldogs stalwart Bill Hector with its Jack Titus Award. Hector was rewarded for more than half a century of service to the Bulldogs in a number of key roles, and was highlighted alongside eight new AFL life members to be inducted at its 2019 AGM in March. Last year marked the 50th year of Hector’s association with the Club, which began in 1969 as a timekeeper – a role he maintained for 31 years. He officiated more than 900 VFL/AFL reserve and senior games, and also served as an AFL timekeeper for 10 years. 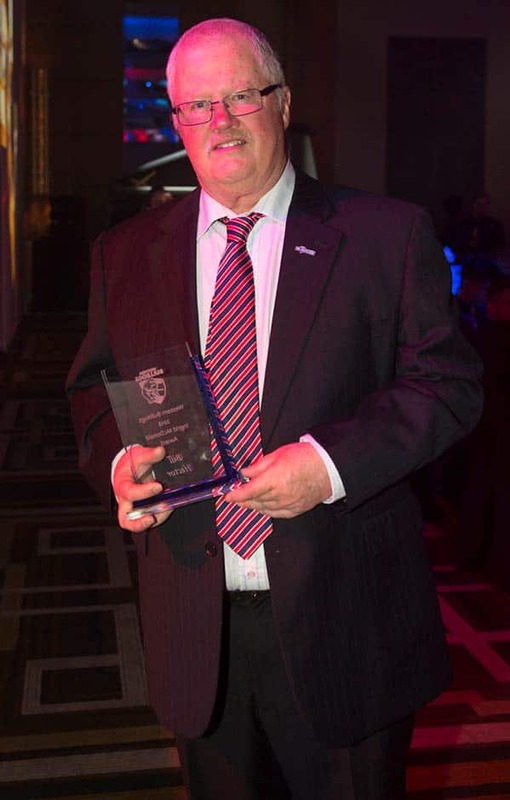 Hector has been a key member of the Dogs’ football department for the last 20 years, performing roles including match-day assistant, senior doorman and assistant property steward. He has also been a valuable contributor to the Bulldogs’ Heritage Committee since 2014. Hector is a life member at both the Western Bulldogs and the VFL/AFL Timekeepers Association. “Bill has made an amazing contribution to the Western Bulldogs and it’s fitting that the AFL has honoured him in this way,” said Bulldogs’ Director of Football, Chris Grant. “Footy clubs are all about the people and the contribution they make during their time with the Club, whether they are players, coaches, staff members or volunteers. Great to hear about our club’s normally unsung heroes. The amount of volunteer time and effort Bill and others put into our Club is truly extraordinary. I recall from Martin Flanagan’s book how much the Club acknowledged the collective efforts contributed to 2016 and how much the volunteers felt part of it too. Bill Hector’s late Father, Norm Hector was our Club’s time keeper for 50 years. A magnificent 100 years of service to our Club of 100 years from the Hector Father/ Son combination. Both have been unsung heroes and we salute them both.